Traffic Jams are one of the worst nightmares of urban commuters these days. China, which has some worst traffic jams ever, has come up with an innovative mode of transport known as the Transit Elevated Bus (TEB) to move around even in the most congested road. As the name suggests, it is a big straddling bus that swiftly hover above the moving vehicles carrying hundreds of passengers. It runs on rails installed on either side of the road. The makers believe, TEB’s design will optimize the use of road space, along with making less traffic chaos like buses or trams. 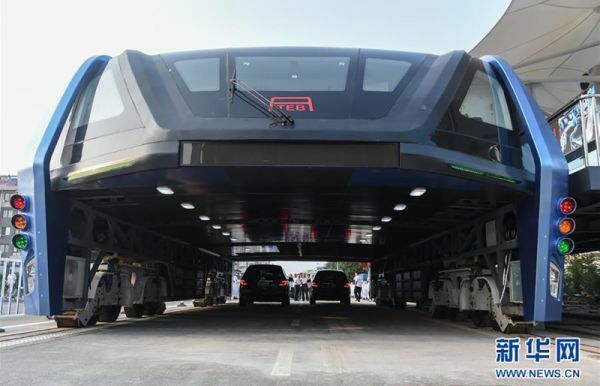 After six years of planning finally, Chinese has successfully tested its TEB prototype (consisting of a single compartment) on the roads of the Hebei province’s Qinhuangdao city. TEB carrying around 300 passengers, measured 22 meters in length, 7.8 meters in width and stand 4.8 meters high that’s just a bit more in height than a double decker bus keeping in consideration the bridges that TEB need to pass through. So, cars that measure less than 2 meters can move under TEB. The TEB’s test run gave tebtech,(the company that assisted in its building) information to estimate the braking system along with the drag and power consumption. Lead engineer Bai Zhiming says that the final TEB is expected to attain 60 kms per hour. 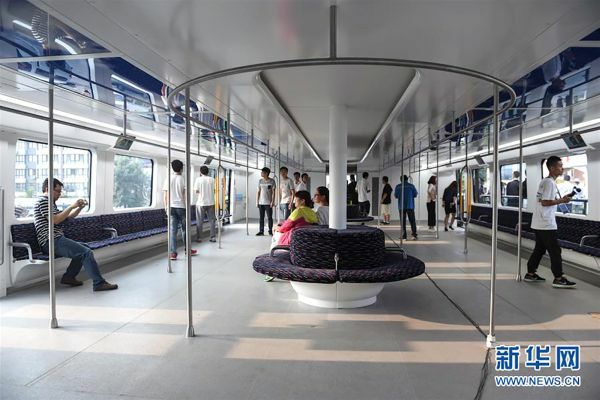 Future TEB will have four compartments attached end to end that can accommodate around 1200 passengers at a time. For boarding and unboarding passengers will use ramps deployed from the TEB’s sides. Although the TEB works similar to a subway, its construction cost less than one fifth of what it takes in constructing a subway. It construction can be completed in just one year. TEB first 300-meter long technical run in tightly monitored traffic conditions has been successful, but the real test is when it can move in real life unpredictable road conditions with traffic signals, bridges and curvy turns and crosswalks.